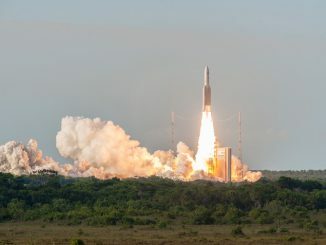 An Ariane 5 rocket lifted two communications satellites to space Wednesday to connect rural Australians with the rest of the world through high-speed Internet and extend television and data services over India, then completed experiments in orbit aimed at helping designers craft Europe’s next-generation launcher. 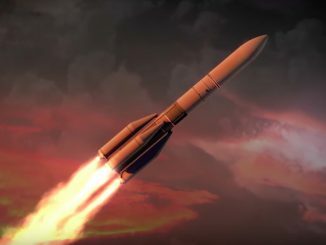 Europe’s top rocket contractor is pressing ahead with development of the Ariane 6 rocket, a versatile launcher with half the cost of Europe’s current Ariane 5 booster, keeping the new vehicle on track for its 2020 debut. 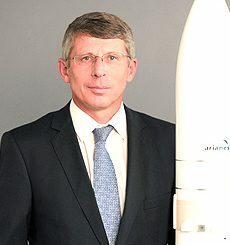 Alain Charmeau took charge of Airbus Safran Launchers when it formed in 2015 from the merger of Airbus and Safran’s rocket divisions, and his first major task is to spearhead development of Europe’s new Ariane 6 rocket set for a debut launch in 2020.